One of the clear benefits of putting down at least 20 percent on your mortgage? Lower mortgage payments. While your mortgage payment may be affordable today, you may want to plan for the future and give yourself more room to breathe in case of a temporary financial hardship like job loss. By locking in a lower monthly payment, you can save more money each month to put toward an emergency fund or other savings. Assume you're planning to buy a home for $450,000 with a 5-year fixed mortgage at 3.49 percent and a 25-year amortization period. If you put down 20 percent, your mortgage payments will be $1,795. If you only put down 5 percent, your payments will be $2,217 per month — a difference of more than $420 per month. The other perk of putting down at least 20 percent is avoiding costly mortgage default insurance or CMHC insurance. This insurance policy is only designed to protect your lender in case you default on your mortgage and it costs 2.80 percent to 4.00 percent of your mortgage amount. While a CMHC insured mortgage has an important benefit — opening the door to homeownership to Canadians who couldn't otherwise qualify for a mortgage — it's still a high expense you probably want to avoid. Unlike closing costs, mortgage default insurance will be financed through your mortgage. 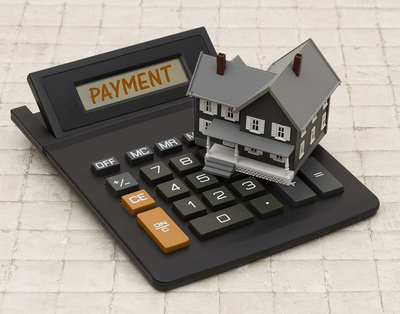 This means it contributes to a higher mortgage payment and higher interest charges over the life of your loan. If the purchase price of your home is $450,000, you would pay more than $17,000 for CHMC insurance with just 5 percent down. The cost of mortgage insurance drops to $10,700 if you put down at least 15 percent. You can use a CMHC mortgage insurance calculator to see how your down payment affects the mortgage insurance you will need to pay. If you have the money available to put down more on your home, it may be worth it to avoid or reduce the mortgage insurance, especially when you factor in the interest you'll pay on the insurance policy. On the other hand, you can offset the cost of mortgage insurance by improving your credit and getting the lowest possible mortgage rate. Even shaving 0.25 percent off your mortgage rate should be enough to offset the CMHC insurance. If you have the 20 percent to put down on your new home, it may be worth it. Of course, saving up this much money takes time. By the time you save up enough for a 20 percent down payment on a home, prices or interest rates may have gone up. It may be better to buy a home now with a 5 percent or 10 percent down payment rather than waiting for prices to rise at which point your monthly mortgage payments may be hundreds more. Mortgage rates in Canada reached a peak in 1982 at 18 percent then remained between 6-15 percent until the recession. In 2009, rates dropped below 5 percent for the first time in six decades. Today, mortgage rates remain near historic lows between 2.99 percent and 3.6 percent. When rates were very high, it made the most sense to put down as much as possible because it was almost impossible to find a higher-returning investment for your money and the cost of borrowing was so high. When mortgage rates are this cheap, mortgage payments are more affordable and you can likely find a stable investment that will give you a better return. 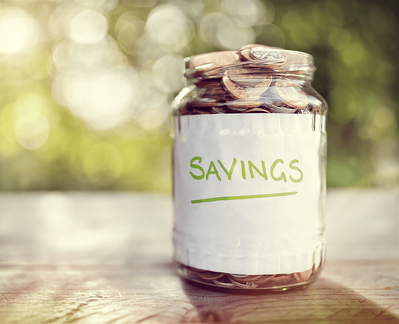 If you tie up all of your savings in your home, you may be missing out on better opportunities. For example, you may do better by putting 10 percent down on your home and investing the rest in a diverse stock portfolio that returns dividends. With dividends, your annual income may go up by several thousand to offset the higher mortgage payments and you will benefit from potential stock price increases in the future. You should also avoid depleting your savings just to reduce the amount of low-interest debt you take on when buying a home. If putting down 20 percent is a stretch, it may be wiser to keep some money in reserve in case of income reduction, job loss, or another financial emergency. You may be more comfortable saving until you have 20 percent to put down on your home but remember that it isn't a requirement. A large down payment comes with plenty of benefits, including lower mortgage payments, no mortgage insurance, and equity from the start. Just be sure to consider the drawbacks and potential perks of putting down less. With a smaller down payment, you can buy a home sooner and finally start building equity of your own. You can also start saving for an emergency, fund home renovations, or use the money for other purposes like a low- to medium-risk investment.